This Citadel is a medieval Islamic fortress that is located on Mokattam hill near Cairo. It is now a historical site with mosques and museums. It was established in the 12th century by the famous Arabian leader Saladin. Nowadays almost all trips in Egypt include visiting this marvelous citadel. It can be easily reached by any public transportation. 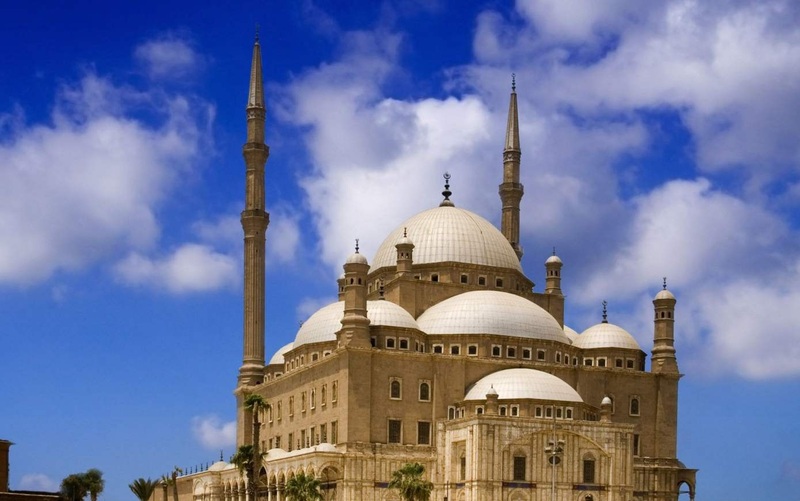 It is located near many touristic attractions like the Egyptian Museum and the Sultan Hassan Mosque. The great leader Salah El-Din started to construct this superb citadel in 1176 A.D when he ordered his vizier Bahaa el-Din Karakosh to destroy all the buildings and tombs in the location. The construction workers had to dig a tunnel between Mokattam and the cliff that hosted the citadel. Salah El-Din also had to dig a water well so that soldiers find their water supply. It was a very hard mission, as they had to dig for more than 90 meters inside hard rock that’s why it took a lot of time from them to accomplish such a mission. The location of the Citadel was so important to Salah El-Din as it was located between two capitals of Cairo at that time, El-Fustat and Cairo. The builder of such a magnificent work didn’t have a chance to witness the greatness of his work as he passed away in 1193 and Karakosh was the one who completed it in 1204. Karakosh’s brother El-Malek El-Adel was the first king to take the citadel to be his residence. The Citadel has two sections: the northeastern section, which represents the military fortifications and the southwestern one, which represents the royal city through its mosques and palaces. It also has many gates to facilitate getting in and out to the soldiers. The most important gate id Mokattam gate, which is now known as Salah Salem gate that was established in the Ottoman era. It is the main entrance of the gate nowadays. Mohamed Ali has also established the new gate in 1827 to facilitate all cars and canons to enter the citadel easily. There is a unique architectural piece in the citadel, which is the Josef water well that has two deep holes in the ground. This amazing Citadel continued to be the seat of government for about seven centuries. Khedive Isma’il made the ‘Abidin palace located outside the citadel the official seat of his rule in 1874 A.D. As long as the citadel has been the residency place for many kings and sultans, there are a lot of establishments by those kings inside the citadel. Mohamed Ali Mosque: It is the most important highlight in the citadel. Its construction started in 1830 and finished in 1849. Its style follows the Ottoman Style, especially mosques of Istanbul. The best thing about this amazing mosque is the marble that surrounds the mosque’s walls, the Mihrab, and the Manbar., which a lot of tourists prefer to explore this marvelous attraction during their Egypt tours packages. Qasr El-Jawhara: It is also called Jewel palace that was named after Mohamed Ali’s wife. It consists of two floors and has a simple style. The most important memory of this place is related to the massacre of Mohamed Ali to the Mamluks when he invited them to have dinner and then ordered his men to kill them. It also contains the throne of Muhammad Ali Pasha that was a gift from the King of Italy. The Panorama of Cairo: It is the most attractive part of the citadel where you can enjoy watching awesome monuments such as the Mosque of Sultan Hassan and the Mosque of El-Refaie from this magnificent area. The Military Museum: It shows the military history from the prehistoric time until the 1970s. The Carriage Museum: It houses a group of unique royal carriages. It dates back to the reign of Khedive Ismail until the reign of King Farouk.